The best thing about this job is attending to trade shows, meeting partners and customers that use our products every day. Seeing that our efforts are utilized to improve life all over the world. When we get back home we transform our impressions and all the valuable feedback into product development or new solutions. I began my career at FEAL by working during the summers, together with my father in the metal shop. My father was one of the founders and I spent a lot of time at the factory as a kid, watching and learning how everything was made. After a short stint of salesmanship in Stockholm, I realized that I belonged in the rampbusiness and returned to Horndal. I started out with packaging and after a while I took on the responsibility of negotiating with suppliers and meeting customers. I did a little bit of everything I suppose. Later I learned this is what the FEAL spirit is all about. Everybody that works here has well defined responsibilities, but our sense of urgency creates a readiness to contribute wherever we are needed. The atmosphere is warm and friendly and we really care about each other, and want to do our best. Everyone is prepared to walk that famous extra mile. We constantly try to improve both products and services. Many ideas are found among the people who are using our products, but also among our skilled craftsmen. We are still a small company without staff in various positions. This enables us to react and respond very quickly. We are always striving to improve and to grow. We believe that we achieve this by working together, not only internally but also together with the most demanding customers and partners. And last but not least, by listening. Our vision is clear; we will improve life by enabling access for all. We will keep on doing this by manufacturing the best ramp possible. Welcome to the FEAL family! This was once the site of the world’s largest industry. The first miners came to Bergslagen in the Middle Ages. They encountered a forest wilderness scattered with streams and lakes and tall mountains rich in ore. They called these mountains Western Mountain and Eastern Mountain. Men, women and children worked day and night to mine the ore. It was a tough life, with long days of strenuous work in inaccessible environments. Over time, the miners developed ways to optimally extract the natural resources. New techniques were developed: machines and chemical processes that made their jobs a bit easier. 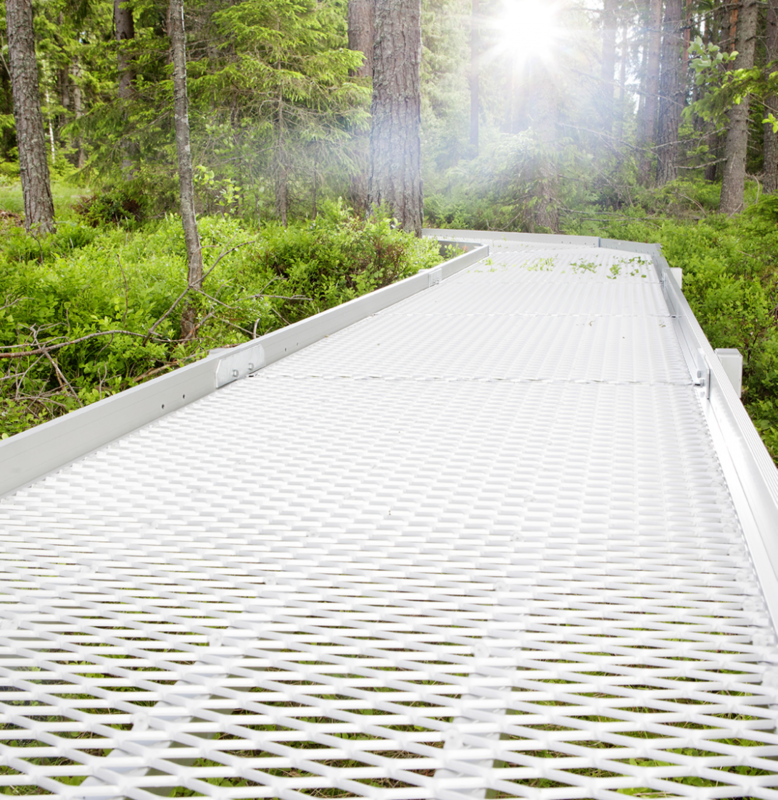 These innovative techniques made Bergslagen an international hub for the steel industry. The little town of Horndal has a central place in this history. The ironworks next to the stream was built way back in 1652. 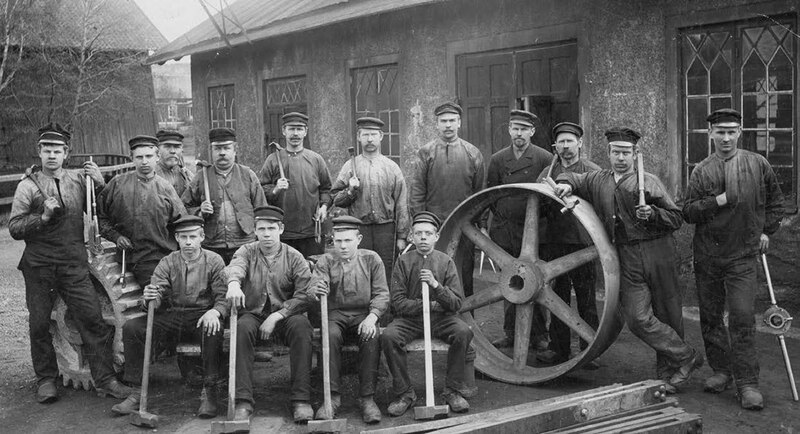 Skilled Walloons from the Netherlands were hired to forge the iron and the town grew rapidly. In 1861, the company began to expand and in just a few short years, the production of iron and wroughtiron goods had increased from 200 to 2000 tonnes a year. By the end of the 19th century, the Horndal ironworks had become a major industry – a modern ironworks with electricity and its own railway. But a century later, the world had begun to catch up with Bergslagen’s developments and competition intensified. Some of the industry could be saved by reshaping ownership structures into larger and more product-focused companies, but the majority of the companies were forced to close down. The ironworks in Horndal closed its gates in 1979. There were families in Hordal then that had been working at the ironworks for five generations. A steel sheet company was set up in the ironworks old premises. But the business wasn’t profitable. Two of the employees broke away and started a new company specializing in ramps. They named their company FEAL AB. A bit of the industrial history of Bergslagen lives on in FEAL. But instead of big industry, the company decided to focus on a narrow product range and a scalable production process. A new era in Bergslagen’s industrial history had begun. Simple, minimalistic and functional solutions. Here at FEAL, our goal is to leave the smallest carbon footprint possible. That is why we have adopted an environmental policy that all employees follow. Among other things, we have reduced our waste and cut down on unnecessary transports. We don’t overproduce and we make sure that our organization is as streamlined as it can possibly be to ensure that we are working efficiently. A concern for the environment also means ensuring that all employees are happy and healthy at work and that their skills are utilized. Our concerted environmental initiatives at the company have led to our being awarded the ISO 14001 certificate. In our short history, we have been conferred the distinctions of Entrepreneur of the Year and the AAA Diploma for top credit rating. We continue to move ahead, together, to live up to our customers’ high standards for quality, the environment and safety. We deliver customized ramps quickly. Everyone is different. The ramp that is perfect for one customer may not be quite right for another customer’s wants and needs. That is why we are more than happy to customize our products to the specific requests of each customer. Since FEAL’s start in 1991, we have made lots of personal adaptations. Ramps to suit different homes, different cars and different people. Ramps in different sizes that can be mounted in different ways. We always develop our products with great care and consideration. At FEAL, you get service with a personal touch, and you have every opportunity to take part in the design of your own ramps. 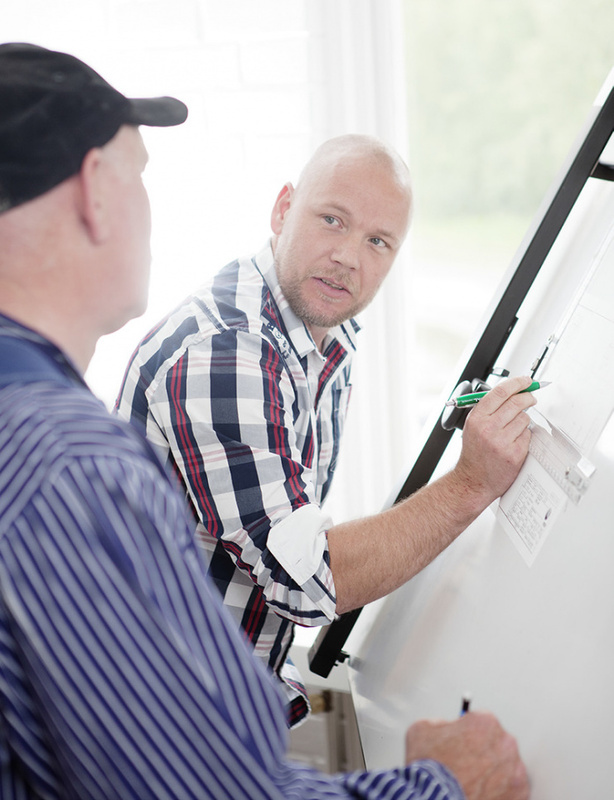 We handle the entire process – from sketch to packaging – at our factory in Horndal. Which means that we can deliver customized ramps quickly. New ideas are often born while we are out meeting the people who use our ramps. We then take these ideas home to the drawing board. Finding creative solutions to problems is the core of our value proposition. Durable lightweight ramps, perfect for any environment. Aluminium is a fantastic material. Ductile, corrosion- resistant and incredibly strong, yet still lightweight. A malleable material that can be welded, soldered and bonded. It takes a small amount of energy to recycle aluminium, which makes it a really “green” material. This gives us a material that is lightweight and ecofriendly, with a long service life and minimal maintenance requirements. 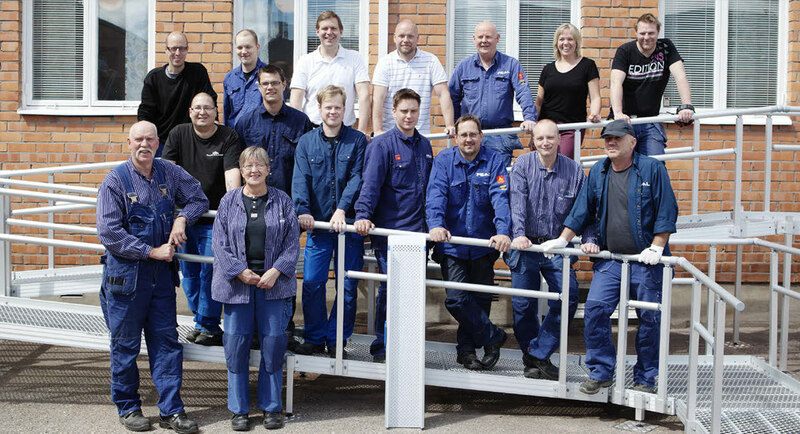 At our factory in Horndal, we anodize our aluminium products to make them even more corrosion-resistant and help them withstand daily wear, salt, dirt and moisture. 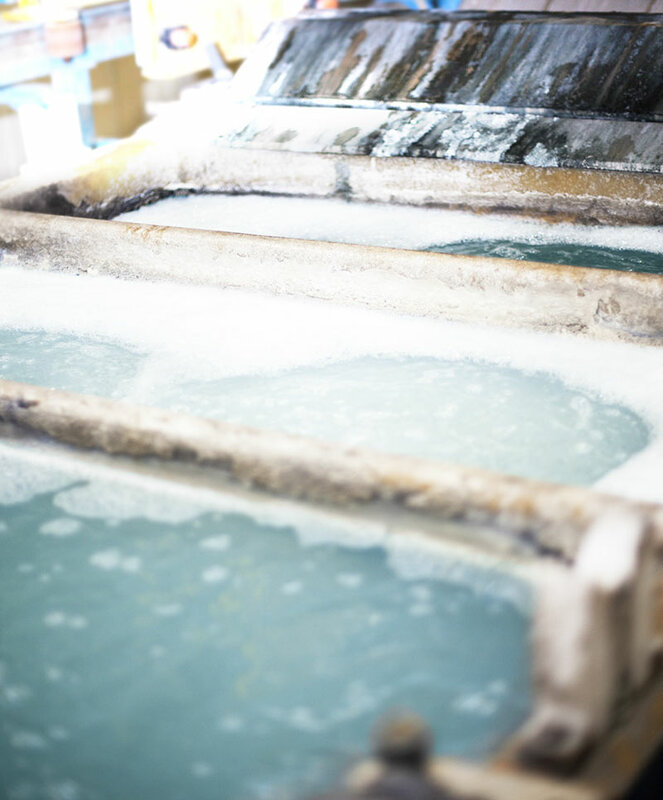 Leading electric currents through an acid bath strengthens the protective coating of aluminium oxide. The process doesn’t affect the shape or the dimensions of the metal. Our aluminium remains malleable and lightweight, but with a surface layer that is up to three thousand times as strong as it was before anodization. We also make expanded metal in aluminium, steel and copper. Expanded metal is a strong and flexible material that is easy to handle and transport. 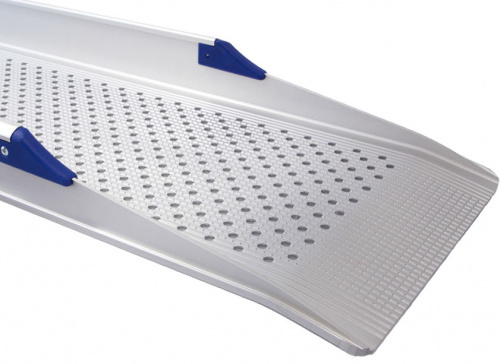 The result is durable and lightweight ramps that are perfect for any environment. Over the centuries, ramps have been refined and improved. A magic flute was played, and the stones floated up and landed in exactly the right place. This is one of the many legends that explains how the magnificent Egyptian pyramids could be built by slaves as early as 2689 B.C. Another, more conventional, explanation is that sloped planes were used to transport the stones. These could well have been the world’s first ramps. Ramps that have since been used in countless ways throughout history. To transport water or goods, in sieges and in construction. 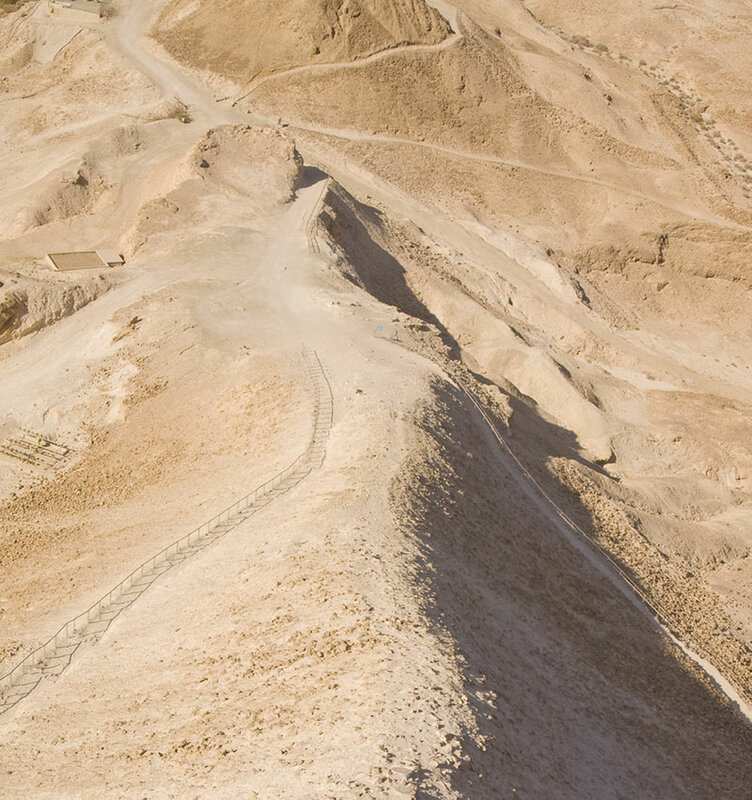 In the year 72, the Roman legion built an earthen ramp to take the cliff fortress of Masada in the Negeve Desert near the Dead Sea (which you can see on the picture on the opposite page). A fortress that had stood for seventy years and which was considered impenetrable because of its difficult location. But in just one year, the Roman soldiers had erected an embankment that reached a hundred metres up the cliff wall. Battering rams could be transported up the ramp and the fortress was soon besieged by the Romans. Over the centuries, ramps have been refined and improved. More and more applications have been discovered. But the objective has always been the same: to solve problems and increase accessibility. In the future, we will surely see even more intelligent applications for ramps. It is inspiring for us to see the dedication and drive that is out there in the world.. In 2011, we took the big step out and began to sell directly to customers on an international market. We have met people from all over the world and talked to them about accessibility, possibilities and development. Accessibility varies from country to country. Some countries and cities are far out on the cutting edge in their efforts to adapt public places, shops and sidewalks to accommodate wheelchairs and mobility scooters. In other countries, work has only just begun. Yet in every single place we have visited, we have met people and organizations working for a more accessible world. It is inspiring for us to see this dedication and drive, and sometimes where you would least expect it. Despite cultural differences, all of these people share the same dreams – to explore nature, to be active in their communities, to scuba dive, to fish, to drive a car, to travel… the list goes on and on. There is always more to do and there is always the need for new inventions to help make these dreams a reality. FEAL wants to be a part of these efforts. We aim to make the world a more accessible place.